The best stoner food is the easiest and most delicious. 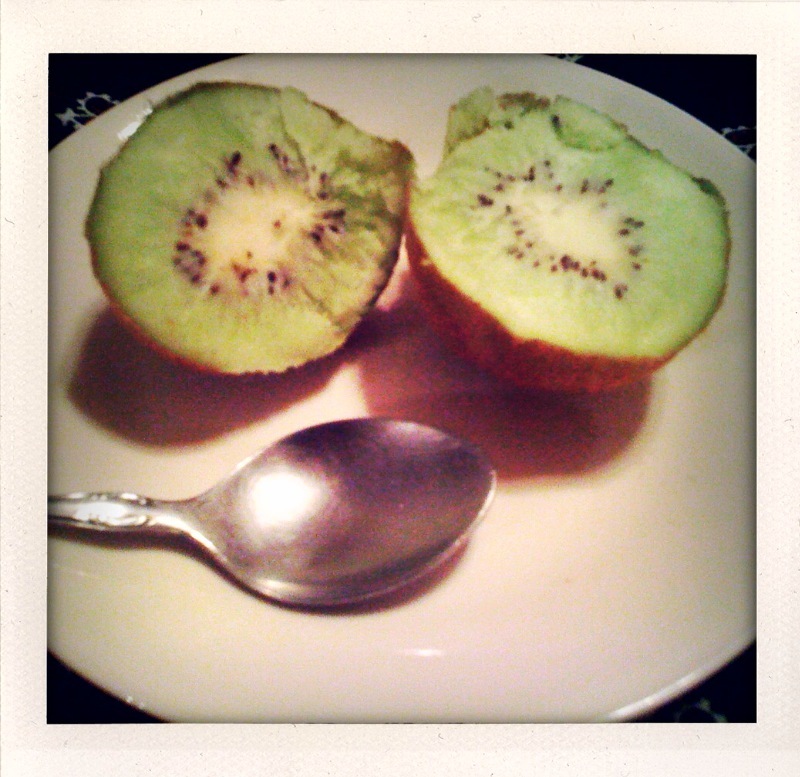 Kiwis are good. Frozen kiwis are better. Everybody has a freezer and a spoon. Go buy a kiwi and put it in the freezer. It will keep for months. Place kiwi in freezer. Before enjoying, take out of freezer and let sit at room temperature for ~10-15 minutes. Slice in half with a knife. Scoop out the frozen fruit flesh and let melt in mouth. That might work with a tomato too. And some sugar. This sounds perfect! I also love frozen grapes, perfect bites of frozen sweetness. This is by far my favorite blog around.